Sometimes we get so caught up in our own adversities that we never stop and think about what the athletes who we call our heroes have gone through. 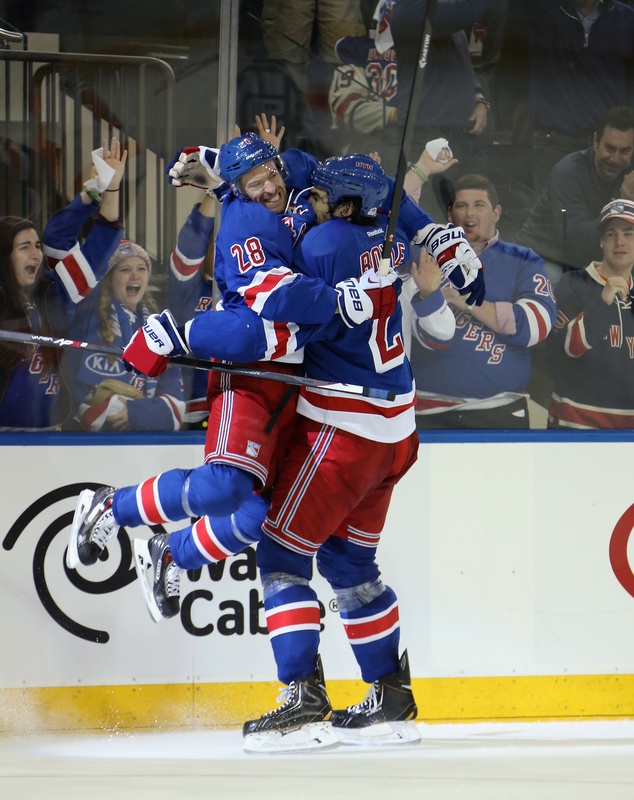 Dominic Moore, an NHL forward currently playing the New York Rangers, recently shared his story with Jeremy Schaap and it will bring even the strongest of us to tears. Moore, who could be called an NHL journeyman having played for nine NHL franchises, walked away from hockey during the midst of a playoff run in 2012; he then sat out the shortened 2012-13 season. Some of us never knew why, but his story tells the tragedy of his wife, who he met as a sophomore at Harvard, and her eventually fatal bout with cancer. The life of an NHL girlfriend or wife is not easy and it is a story that is seldom told. Hockey players might be the toughest athletes in the world, but many of them are only able to be so strong on the ice because of their other half, who consistently give up their own dreams in order to allow their significant other to chase theirs. Moore’s story is a sad one, but it shows how professional athletes are people just like you and me. It shows that under all of the equipment, there’s still a heart. It shows that hockey players aren’t invincible. It shows what hockey wives will go through and how supportive hockey players can be. Hockey players, coaches, fans, mothers, fathers, girlfriends, wives… This is a must watch. The complete E:60 on Dominic Moore can be seen here on Vimeo.